Heads up only (nothing to do with the seller). 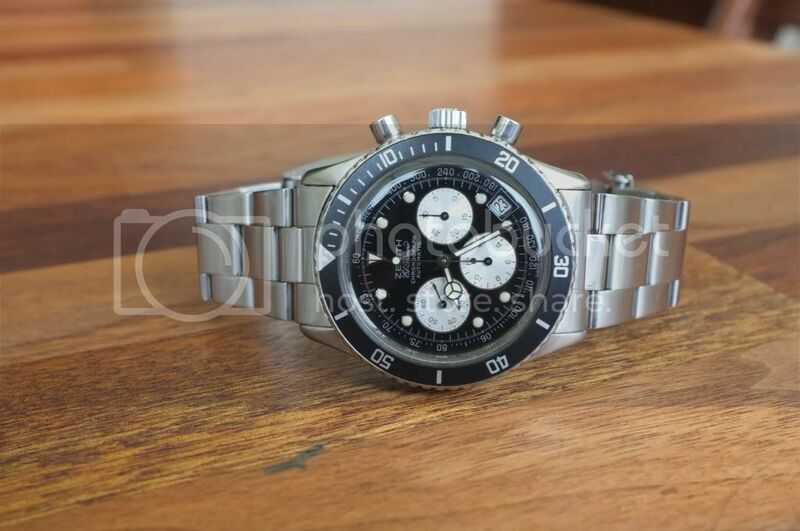 Over on a Dutch watchforum there's a Zenith DeLuca for sale. It's for sale since March 2 and there's no bid whatsoever. Asking price for the watch: 1550 GBP, but I think you can negotiate about that. I don't want to turn this into a sales ad, so if you want more pics, just send me a PM, I can copy paste them from the seller's original sales post. I much prefer the 1st series handset and dial too Dave, but I wouldn't turf that one out of bed, it looks very crisp indeed. Puzzled to see why it's not had a nibble or two at that price as well to be honest, surely if you wanted a Zenith in your collection you would sna tch (swear filter won't let me join that word up ) his hands off with something like that? I wonder what the Zenith enthusiasts think of these - Lou? ?